Yamaha is a proven name in many different fields of industry. 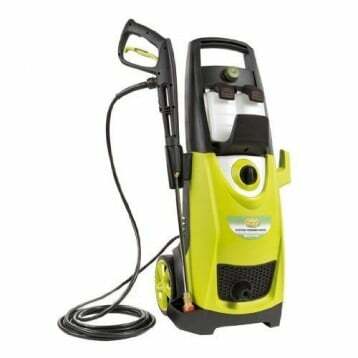 They are associated with strength and high quality, which is exactly what you’ll find with this heavy duty pressure washer. Unless you have power soaping needs or want to pressure wash something that’s on the second floor from the ground, this Yamaha 3000 PSI pressure washer will help you get almost any task accomplished. Using 2.8 gallons per minute, you’ll have a lot of cleaning power available to you. 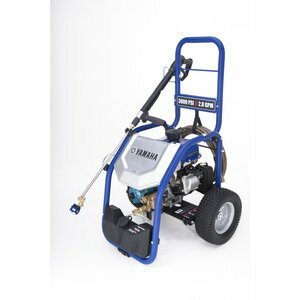 What Are the Key Features of the Yamaha 3000 PSI? 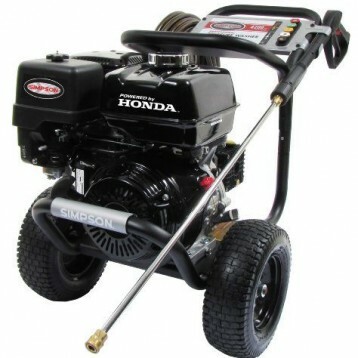 There are some additional features that make the Yamaha 3000 PSI pressure washer a legitimate purchase. 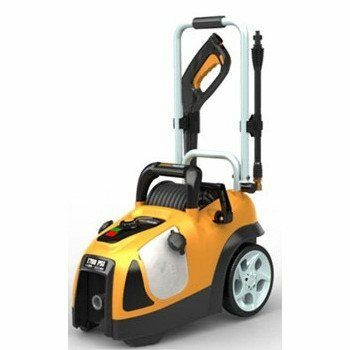 The tires on this pressure washer are solid and durable – none of those rigid plastic tires that you sometimes see on lower end models. The adjustable head on the spray wand allows you to manage the flow of water without having to swap out different heads and nozzles. You can angle the spray wand so that you can get underneath things, like your vehicle, so that they are effectively cleaned as well. The price is what may be a drawback for some who are looking for a pressure washer. It’s priced below $800 on Amazon today, which gives it a premium price point when compared to similar models that provide an equal level of PSI. Why Choose the Yamaha 3000 PSI Pressure Washer Today? 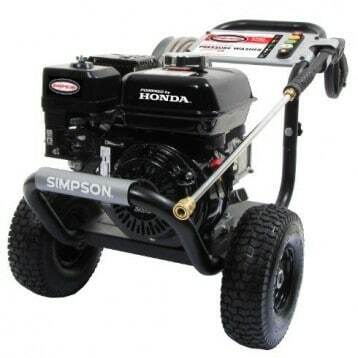 Some gasoline powered pressure washers can be almost impossible to start, especially on the first time around. The trick is to manage your choke effectively. We found that starting this Yamaha pressure washer was pretty easy on just a couple of pulls by having the choke around 60% while having the trigger pulled on the spray wand. 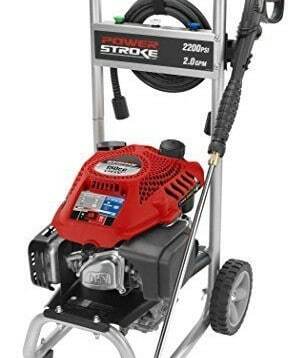 The Yamaha 3000 PSI pressure washer will consistently cold start on a couple of pulls. 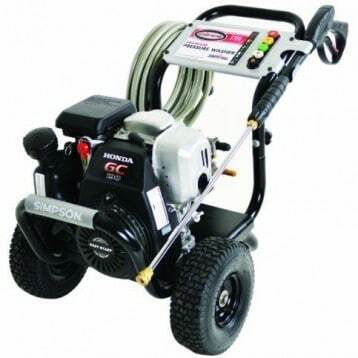 There’s really nothing negative that we found with this pressure washer or a point of improvement. It’s equipped with a CAT pump, has a 50 foot hose that give you a lot of maneuverability, and even has a soft rubber boot around the end of the 5-in-1 pivoting nozzle so you don’t accidentally damage it while cleaning. For all of these reasons, we highly recommend this pressure washer because it is easily the best pressure washer of its class. Click here to view pricing on Amazon and find an awesome deal on the Yamaha 3000 PSI Pressure Washer.